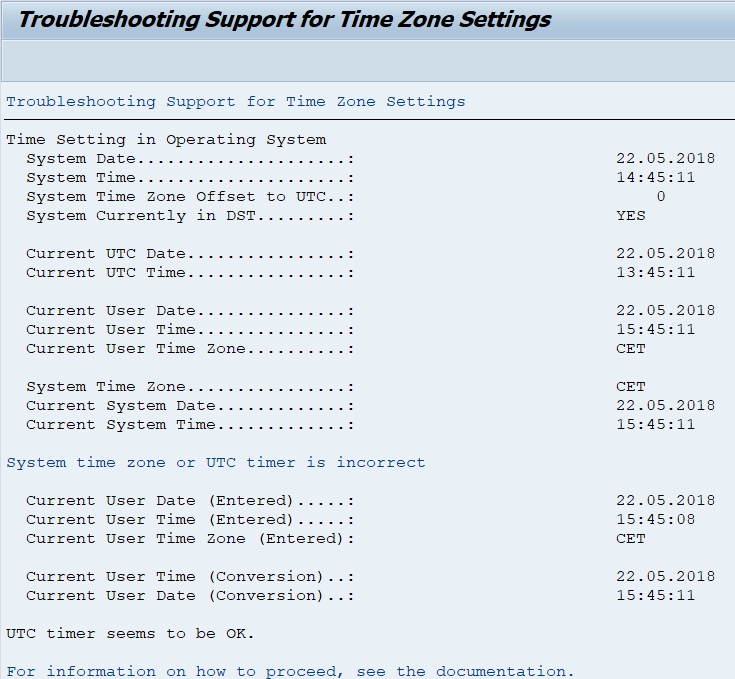 One more post regarding time zone of SAP NetWeaver system. It is for actual checking of the time zone of the system. 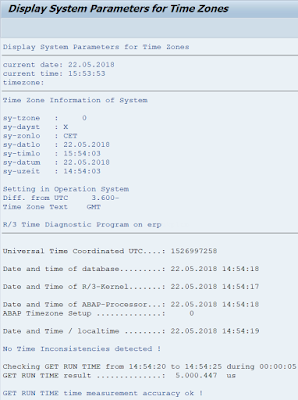 To simply find out what is the time zone of the system there is a report: TZONECHECK - Check Time Zone Data for Consistency. 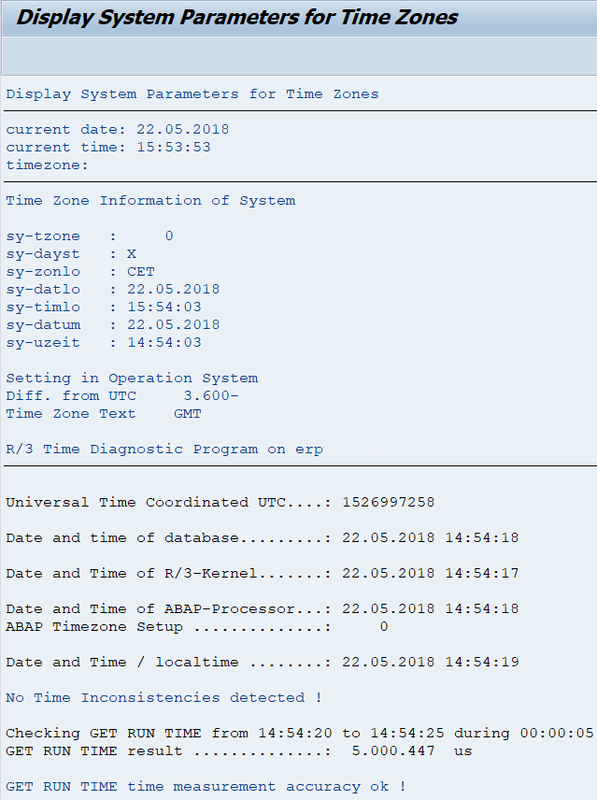 By entering client and language on selection screen the real time zone of the system is displayed. 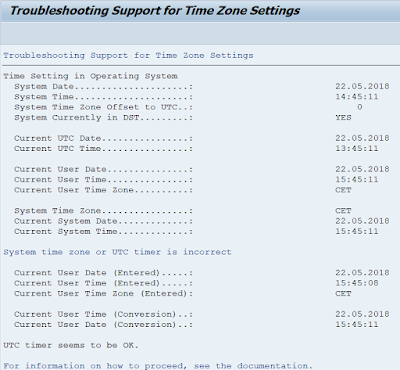 There is another reports that may help while troubleshooting time zone issues. 1. Report TZCUSTHELP and it basically checks time zone settings.